We clean green. We do good. We are highly trained cleaners who each own a share in Redgum and have an equal say. We value our business, our clients, and each other! Find out more about our story. We currently service homes and offices across Melbourne’s inner, northern and western suburbs. Find out more about our services and operating locations. We only use safe, eco-friendly products, like vinegar and eucalyptus oil – gentle yet highly effective. Read more about green cleaning methods. A highly exploited workforce, some cleaners in Australia have up to $14,000 stolen from their wages each year. You can help turn that around by supporting a cleaning service owned by the workers – creating jobs that are dignified, well-paid, healthy and secure. Redgum is building a Community Chest to fund our social justice initiatives. 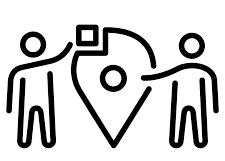 Client contributions will help fund discounted or free cleaning services to people in need, or installation of locally manufactured solar hot water systems in low-income households. 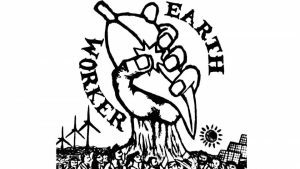 Earthworker is a grassroots response to economic inequality and climate change – building resilient and sustainable communities, one co-op at a time. Redgum Cleaning Cooperative is a member of the Earthworker Cooperative network.